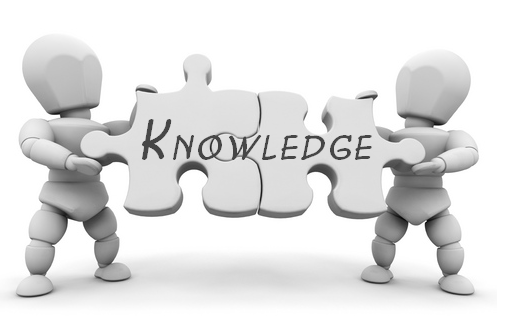 Knowledge Chronicles - Health And Beauty - Oh My Hair Loss! Are you losing hair and have no idea why? Have you tried various hair growth remedies with no results? Maybe you have a form of Alopecia! Alopecia is the medical term for hair loss. There are several patterns of natural and disease related hair loss. Hair loss may also be caused by several drugs and medications. Androgenetic Alopecia, also known as male pattern baldness or female pattern baldness, is a thinning of the hair to an almost transparent state, in both men or women. It is thought to be a hereditary form of hair loss and is the most common type of progressive hair loss. Scarring Alopecias, also known as cicatricial alopecias, refers to a group of rare disorders which cause permanent hair loss. Anagen Effluvium, hair loss is generally caused by chemicals such as those used to treat cancer. Initially it causes patchy hair loss, which often then becomes total hair loss. The good news is that when you stop using these chemicals the hair normally grows back (usually about 6 months later). Other drugs also can cause hair loss. Many medicines used to treat even common diseases can cause hair loss. Telogen Effluvium, hair loss where more than normal amounts of hair fall out. There is a general 'thinning' of the hair. 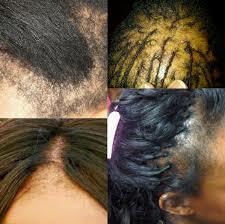 Unlike some other hair and scalp conditions, it is temporary and the hair growth usually recovers. Alopecia Areata is one of the most common forms of the disease, and can effect hair all over the body. Typical first symptoms of AA are small bald patches. The underlying skin is unscarred and looks superficially normal. These patches can take many shapes, but are most usually round or oval. AA most often affects the scalp and beard, but may occur on any hair-bearing part of the body. Different skin areas can exhibit hair loss and regrowth at the same time. The disease may also go into remission for a time, or may be permanent. It is common in children. In most cases which begin with a small number of patches of hair loss, hair grows back after a few months to a year. In cases with a greater number of patches, hair can either grow back or progress to AA totalis or, in rare cases, AA universalis. Scarring Alopecia is a diverse group of rare disorders that destroy the hair follicle, replace it with scar tissue, and cause permanent hair loss. A variety of distributions are possible. In some cases, hair loss is gradual, without symptoms, and is unnoticed for long periods. In other cases, hair loss is associated with severe itching, burning and pain and is rapidly progressive. The inflammation that destroys the follicle is below the skin surface and there is usually no "scar" seen on the scalp. Affected areas of the scalp may show little signs of inflammation, or have redness, scaling, increased or decreased pigmentation, pustules, or draining sinuses. Cicatricial alopecia occurs in otherwise healthy men and women of all ages and is seen worldwide. The cause of the various cicatricial alopecias is poorly understood. However, all cicatricial alopecias involve inflammation directed at the upper part of the hair follicle where the stem cells and sebaceous gland (oil gland) are located. If the stem cells and sebaceous gland are destroyed, there is then no possibility for regeneration of the hair follicle, and permanent hair loss results. Traction Alopecia is a form of alopecia, or gradual hair loss, caused primarily by pulling force being applied to the hair. This commonly results from the sufferer frequently wearing their hair in a particularly tight ponytail, pigtails, braids or locs. It is also seen occasionally in long-haired people who use barrettes to keep hair out of their faces. Traction alopecia is recession of the hairline due to chronic traction, or hair pulling, and is characterized by a fringe along the marginal hairline. Traction alopecia is mechanical in etiology, rather than androgenic, and treatment is typically not pharmaceutical. Management includes cessation of the chronic traction, cosmeses, with surgical restoration reserved for more severe cases. Traction Alopecia is one of the most common causes of hair loss in African Americans due to hairstyles such as dreadlocks and single (extension) braids. Men and women who have suffered from traction alopecia have found that the hair loss occurs most at the hair line - primarily around the temples and the sides of their heads. Read more about Alopecia at the links below! And be good to your hair!